Rhinoplasty, also known as a nose job, is a surgical procedure that is performed to adjust the size, shape, and position of the nose. Your nose is easily the most prominent feature of your face and helps to define your appearance to others. If your nose is too small, overly large, or has an unnatural curve, it can dramatically affect your appearance and emotional confidence. fortunately, these issues can be corrected through rhinoplasty, which allows a rhinoplasty specialist surgeon (board certified facial plastic surgeon and ENT specialist) like Dr. Kevin Sadati to improve your nose in a way that complements your existing facial features. He is particularly known for creating natural, non-operated looking results for patients. This can be credited to his extensive experience as well as his surgical finesse and natural artistic talent. Along with years of studying and training, Dr. Sadati has experience as a painter and sculptor, which embodies his artistic eye for, and appreciation of, aesthetic harmony. He believes that this is key to creating beautiful, natural-looking results in cosmetic surgery. Dr. Sadati customizes each nose for individuals, not one fit all. By taking into account age, ethnicity, and gender, he consistently delivers exquisite results that accomplish his patients’ objectives and enhance their natural beauty. Another important thing to consider when searching for a rhinoplasty surgeon is that rhinoplasty really affects two important aspects of your nose. It is primarily used to correct for cosmetic problems without compromising breathing function. In many cases, it also can help a person improve their breathing as well which is called septorhinoplasty. Because most rhinoplasties require adjusting the cartilage and bone, in the hands of nonspecialized nose surgeons, that may comprise the nose breathing function. The nose may look better but has breathing problems. Great care must be taken to balance any changes made to the bone and cartilage, followed by structural supports for adequate breathing. Dr. Sadati is committed to ensuring this balance and takes a very holistic approach to any rhinoplasty he performs to ensure a positive outcome for the patient in both of these areas. Dr. Sadati is one of the most sought-after facial plastic surgeons in California, performing all types of rhinoplasties. He has been invited to speak at many national conventions about this techniques. He has been voted by his patients: “ The Best Cosmetic Surgeon” in OC register 3 years in a row, “ Top Plastic Surgeon in Orange County” in Locale magazine, and received “ Best Overall Facial Rejuvenation” award at the Aesthetic Show by his peers. He also appeared on “The Doctors” show on NBC for his outstanding nasal surgical procedures. Call the Gallery of Cosmetic Surgery today to set up a private consultation at our Orange County practice in southern California. "Septo/Rhinoplasty - My experience with Dr. Sadati was excellent! From my first office visit to the post OP follow up, Dr. Sadati and his staff were very welcoming and cou ..."
"Life changing experience! Septo-Rhynoplasty and turbate reduction. Breathing like a champ! - Dr. Sadati was very detailed with me. He made me feel comfortable and made sure he answered all my questions. He was not pushy at all. I am glad I pic ..."
"Dr. sadati is a great doctor!I tried hard to find a good doctor with two specialties, ENT and cosmetic surgeon. I had many problems with the performance of my nose (breathing) as well as an unattractive appearance. I found Dr. Sadati who has both of the specialties I was looking for. I made an appointment with him and he clearly explained what he could do to solve my nasal problems.Dr. Sadati did a great job and skillfully corrected my deviated septum, removed numerous polyps, cleaned up my sinuses, reduced the turbinates, and now, I can breathe easily through my nose.Regarding the appearance of my nose, again, he did a great job. He gave me a very beautiful and natural nose that fits my face perfectly. I really appreciate Dr. Sadati and I sincerely recommend him to everyone who's looking for a great doctor.Thanks again Dr. Sadati!K.F"
"Dr. Sadati is truly the doctor of the ages. During my consultation, he was very attentive, understanding and willing to really work with me and my concerns. His relaxed style and laid back approach really made me feel at ease. His nose job is superb! In my consultation with him, I gave the description of what I desired and Dr. Sadati performed my rhinoplasty all the way down to the last detail. I am very pleased with the outcome of his work. My nose fits me and looks very natural!Not only is Dr. Sadati skilled, but talented as well. His work has become an art form; the results of my nose job exemplify his artistic ability. His staff...were professional, courteous and friendly.Dr. Sadati is a true, honest surgeon and a real asset to the medical community. In my opinion, he's the Michelangelo of his craft. Thank you, Dr. Sadati." "I went to Dr. Sadati after learning I had a severely deviated septum and sinus blockage. Since, I was having that work done anyway, I also had a rhinoplasty. The entire experience was as pleasant as it could've been. Incredible staff, incredible medical services. I recommend him for anything you need done." Most facial plastic surgeons perform the open rhinoplasty approach. Utilizing this technique, the surgeon has a better chance to look directly at the nasal structures. The nasal skeleton is made up of cartilage and bone; parts the surgeon will reposition and reconstruct in order to improve the nose. Once the nasal cartilages are exposed, they are reconstructed by reducing, reshaping, and suturing. In open rhinoplasty, cartilage grafts are utilized to ensure maintenance of shape and form. These grafts are small pieces of cartilage harvested from the septum and placed in locations that require structural supports. Basically, open rhinoplasty is a procedure when the surgeon dismantles the existing structure of the nose and reassembles it according to aesthetic and functional needs. The most important benefit from open rhinoplasty in Orange County is its superb exposure to parts of the nasal anatomy that needs to be fixed. Open rhinoplasty is tantamount to taking apart a car engine to fix it instead of completing the repair through the radiator. By lifting the skin over the nasal structure the underlying cartilages and anatomy can be altered and corrected to the desired shape. Furthermore, grafts are more easily placed. Unfortunately, this simplicity of exposure and grafting does not necessarily mean the best results for every patient. Revision rhinoplasty or secondary rhinoplasty is usually performed via open approach and it continues to be a common procedure sought even after open nasal reshaping cosmetic surgery. As with any surgical procedure, there are risks and an open rhinoplasty approach may not be right for everyone. An open rhinoplasty takes longer to perform and the time is generally dedicated to placing cartilage grafts. Open Rhinoplasties take about two hours to perform; however, in some cases when more reconstructive work is needed, the procedure can take up to three hours. There may be some internal scarring after an open nasal reshaping surgery. Since more extensive surgical dissection of nasal structures are necessary for the open rhinoplasty procedure. Unwanted scaring may cause tissue thickening and may create forces which can pull structures in unwanted directions. Adding structural support with a cartilage graft is important to reduce these forces. If any irregularity or scaring is formed from previous surgeries, then an open approach is required for a revision rhinoplasty. A closed procedure is also known as endonasal rhinoplasty. It is a nasal cosmetic procedure where all incisions are made internally, leaving no visible outside scars. Because closed rhinoplasties are performed through hidden and difficult to see incisions inside of the nose, teaching the procedure is somewhat difficult. Prerequisites for a well performed closed rhinoplasty are a methodical understanding of nasal anatomy, and an ability to “see” through the surface of the nose to plan modifications essential for the desired improvement. In the past decades, there were only a handful of expert rhinoplasty surgeons available to perform this procedure. Some surgeons would not permit anybody to observe what there were doing in the operating room. Nevertheless, closed rhinoplasty necessitates surgical expertise and artistic insight. Both closed and open rhinoplasty techniques are presently utilized successfully by rhinoplasty surgeons. Both techniques can result in pleasing results. Surgeons more comfortable with open rhinoplasty will indicate that they can visualize the underlying anatomy better, therefore feeling that they can obtain a better result. Orange County Surgeons who favor the closed rhinoplasty technique will elucidate that they see whatever they have to for an expected improvement. They may point out that more swelling and scarring may occur with an open rhinoplasty. They may also indicate that the closed rhinoplasty technique leaves vital support structures intact. Overall, a closed rhinoplasty takes less time to perform. 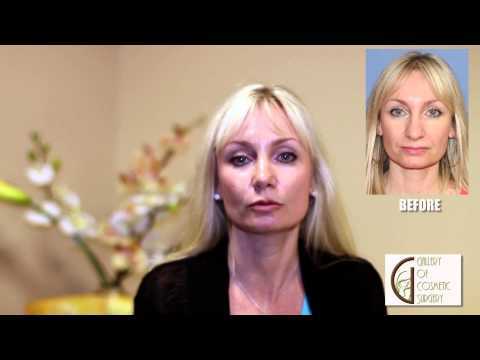 All of these statements are accurate, but the fact is that these two techniques are different surgeries performed to attain a common goal; a natural and pleasing appearance. Rhinoplasty is performed under general anesthesia onsite at an accredited surgical facility and typically takes around 1 – 3 hours. It is considered an outpatient procedure. After surgery, you can expect to experience moderate nasal swelling and congestion. Dr. Sadati will place a protective splint over the nose and you will be able to return home to recover. The initial recovery period usually lasts about one week, at which point Dr. Sadati will have you return to our office to remove the external splint to reveal your new nose. Although there will be a significant improvement in the size and shape of your nose, it may take longer for the swelling to subside. It can take up to 1 year for the nose to gain its optimal contour and softness. Your rate of recovery is largely dependent on factors such as genetic background, overall state of health and lifestyle. Doctors are not solely responsible for the healing process. Dr. Sadati can facilitate, not accelerate, recovery. Post-op healing is largely up to how well you take care of yourself. Your cooperation is essential. It is imperative that all written and verbal instructions are followed. We set guidelines for our patients in order for them to have a quick recovery, and to prevent the occurrence of any complications during the healing process. The instruction we provide is specific to each patient and will give you the best opportunity for healing, so you can go out and enjoy your new look sooner rather than later! Because you will still feel the effects of sedation, someone must drive you home and stay overnight with you. You are, of course, welcome to stay overnight in one of our beautiful appointed guest suites. If you do choose to stay overnight, one of our highly skilled and experienced nurses will monitor you overnight. Take this time to relax and pamper yourself. It is important to avoid strenuous activity. No matter how good you feel, please do not clean your house or rearrange the garage. We do not want you to bleed or cause any additional swelling. Common sense is the best guide. Ice packs: We recommend using cold packs for the first 48 hours to help reduce swelling, bruising, and pain; frozen peas or crushed ice in a zip-lock bag works well. Leave the ice in place no longer than 20 minutes applying the ice every few hours, but please put a cloth of some sort between your nose and the ice pack to protect your skin. Diet: If you experience post-operative nausea, soft food like mashed potatoes, or pudding or saltine crackers may settle the stomach. For severe nausea, we will prescribe Zofran, which is placed under the tongue and works immediately. Under normal recovery circumstances, start out with bland foods and progress slowly back to your regular diet. Alcohol: Alcohol dilates the blood vessels and could increase post-operative bleeding. Please do not drink until you have stopped taking the prescription pain pills, as the combination of pain pills and alcohol can be dangerous. Smoking: Smoking may inhibit wound healing and cause tissue death. It also reduces arterial oxygen supply, a necessary component of wound healing. Exposure to second-hand smoke has also been implicated in delayed recovery. Please avoid smoking and exposure to second-hand smoke in the post-operative period. You should also avoid cigarette replacements such as nicotine gum, patches or the inhaler during your post-operative period as these have similar effects as smoking. Driving: Please do not drive while taking prescription medication. Family and Friends: Support from family and friends are essential during your recovery, however, they may not understand what is normal during your post-op care. As often happens with family, their comments may create emotional turmoil for you. Please trust in our knowledge, skill, and experience when we evaluate your progress. We know it is difficult not to compare your recovery to other's procedures, but it is imperative to remember progress varies from patient to patient and everyone has a different recovery experience. Patients occasionally feel upset that “no one noticed” or “said anything.” If you are comfortable discussing your cosmetic procedure, then you should. Very often, it will be up to you to open the discussion about your procedure. You may find that your friends and acquaintances are very interested in talking it over with you. Yes, and this fear is always elevated when surgery involves the face. More than 350,000 people in the U.S. undergo rhinoplasty each year, making it one of the most common cosmetic surgeries. One way to help calm your fears is to make sure you find a reputable and skilled surgeon that has extensive experience with nose surgery. Sometimes patients experience a brief period of let down or depression after cosmetic surgery. This is due mostly to a set of unrealistic pre-op expectations. Some patients expect instant results and it can be an emotional drain to experience new scars and incisions, but know that this too shall pass. Patients commonly question their decision to have surgery during the first few days of recovery. Second-guessing your initial decision is normal, and as the healing occurs, these thoughts usually disappear quickly. If you feel depressed, just try to remember that this is a process, and there are stages for each phase. Be assured that you have entrusted your looks and your esteem to a highly skilled doctor with many years experience. After your incisions heal and the swelling subsides, you will look and feel nothing less than wonderful! As a leading facial plastic and reconstructive surgeon, Dr. Sadati has years of experience with correcting and achieving facial symmetry through high-quality rhinoplasty. Will the Nose be Broken? There is infinite information about rhinoplasty surgery accessible online, some of them beneficial, some of them are confusing. Many patients learn about treatment options and narrow their search for a facial plastic surgeon on review sites such as Realself and Yelp. And then they make one, two or more consultation appointments, and on the basis of these consultations determine who will be their facial plastic surgeon. Some patients already have a particular plastic surgeon in mind, based on the recommendation of satisfied patients or the surgeon's reputation online. ? Nonetheless, you should consider the following criteria after your consultation to see if this surgeon is qualified to perform your facelift surgery. Is this person likable? Will I enjoy seeing him/her over the course of my surgery and recovery? Did he paid attention to my medical history and examined my nose inside and out in detail? Did my facial surgeon truly listen to me about the improvement of the area that I am concerned, or did he give me menu list of procedures that he wants to perform? Does this surgeon have artistic eyes and understand my aesthetic sensibility? Can he give me exactly what I am looking for? Did he discuss my anesthesia options: Twilight sedation vs. general anesthesia? Does he have abundant before and after pictures of rhinoplasty? Did I get a sense of professionalism, friendliness, and accommodation from the staff? Did the staff pressured me or try to sell the procedure to me? Does this surgeon exclusively perform facial surgery with thousand of facelifts under his belt, or performs all types of surgeries like breast and body contouring? Jack-of-all-trades, master of none. For more information on this procedure and to see if you are a good candidate, contact Dr. Sadati's office today to set up a consultation. You can go over your goals with Dr. Sadati and decide what the next step should be to becoming a better you. For out of state and international patients, we require patients to send us their facial photos for evaluation and recommendation prior to flying to Orange County California for your one on one consultation. Noses that are too large or that have a specific deformity may only be able to be altered through nose surgery. However, the look of some noses may be able to be enhanced using an injectable filler such as collagen, calcium hydroxyapatite, or fat taken from another part of the body. During your initial consultation, Dr. Sadati will discuss if a “nonsurgical rhinoplasty” may be an option before resorting to surgery. This is an in-office procedure that can help to soften and camouflage a bump, alter the tip of the nose, and smooth out irregularities.